Another giant that does this regularly, much more regularly than Google is Facebook. Majority of the reactions complain and hate pretty much every major GUI update Facebook has brought out since the beginning but this keeps it interesting and innovating and everyone eventually gets used to it. I suppose the changes to a social media site is more prevalent and “acceptable” than perhaps a *professional* service provider like Microsoft and Google but regardless, we all eventually grow into accepting these things and move on. Does anyone really care whether Facebook sinks or swims? After all, before Facebook there was MySpace; and after both of them, there will be other Web sites to take their place. you said all that needed saying. Thank you, Terri, for your thoughts. Yes, I agree. Because Google has virtually no customer support, sadly it seems to be another entity—be it part of government or business—which does not care. Perhaps I simply deluded myself into believing otherwise. The Wall Street Journal‘s SmartMoney has an article entitled, “10 Things Apple Won’t Tell You,” which is worth reading. I have been an Apple customer for about 20 years now. My first Mac was a PowerBook 160; and I have been with Apple through the good times and the bad, all of them. I have a MacBookPro today. Apple is not perfect; it never has been, even when Steve Jobs was at the helm. However, it runs circles around Microsoft, and Google; and my guess is that it will continue to stay ahead of the curve and the competition. This [SmartMoney] article is correct in many respects. I bought a Samsung Galaxy rather than an iPhone because my son had badmouthed his iPhone; the screen was too small for me; and the monthly costs were cheaper with the Samsung. Also, the “backward compatible” issue with respect to new products and software is most egregious with Microsoft. Those of us who created documents with MS Word years ago cannot open them anymore; and this problem with get worse with the passage of time. Indeed, the question arises: how can we store any documents for posterity? God only knows. What is very pleasing is to see how many students have switched to Apples. When I used to go into college libraries, it would be a rare treat to see an Apple user. Now, Apple computers seem to outnumber non-Apple products, which is refreshing. I agree with him. For example, what about music that you own and paid for by buying CDs over many years. You might lose it, or have to pay twice or more when you upgrade to new computers. Also, what about Word documents that have been created over many years as well, and other sensitive documents such as .pdf files. Imagine losing them and/or having others tap into them. This [SmartMoney] article is correct too about the use of “smart phones” in church. This morning some ostensibly-religious woman sat down next to me; and no sooner had the minister started with the sermon than she started checking her phone for e-mail messages and reading a long one. I thought she was very rude, and was tempted to ask her why she bothered coming to church, but refrained from doing so—even though I found it to be very annoying and obnoxious. Indeed, hearing a cell phone go off nearby in a movie theater is one reason I stopped going ages ago. Despite rave reviews from friends about their iPads, I refuse to get one. With a smartphone and a MacBookPro, what on earth would an iPad do for me? I do not need toys. Also, Apple outsources its consumer calls to India and elsewhere; and I for one want to speak with Americans, here in the States. Lastly, I am still with Apple for the most part, and probably always will be, because its operating system is superior to the Windows software; and I prefer Apple’s laptops and its other computer hardware. And some of us have been around long enough to exchange e-mail messages with Steve Jobs in the past. For all of the reasons set forth in my article and comments above, Google is not user friendly except for its search engine. Thus, how long can it carry Google? Yahoo! found out the hard way, and Google may be following a similar path. Google may be on its way out as the dominant player in search, according to one analyst—and could even “disappear” in as little as five to eight years if the competitive pressures that ultimately claimed other search giants start to take root. The reason? Consumers are searching more and more on mobile devices, yet advertisers aren’t as willing to buy advertisements formatted for mobile devices, because these ads are not as prominently displayed. My loyalty to Google has been disappearing, and the same thing may be true of many others. Google Chromebooks: Will They Gain Any Traction? Google is in the process of introducing its Chromebook Pixel laptop. I have been with Apple for more than 20 years. I have been with Google since shortly after its search engine was launched. I have used Google’s AdWords for advertising; and I use Google’s Gmail and its Chrome browser now. Why on earth would anyone buy a Chromebook Pixel (or any other Chromebook for that matter) when (1) it costs as much as a Mac, and does not allow one to use standard business and personal applications (e.g., MS Word, iTunes); (2) Google provides zero customer support; (3) “they only function fully with a web connection,” as the author notes; (4) it only offers “[u]p to 5 hours” of battery life; and (5) there is no built-in CD/DVD SuperDrive? Also, Google launches products and services, and then they disappear (e.g., Knol), as mentioned in the article above. The Chromebook Pixel represents a lot of money for a product that may or may not be supported by Google. It is a bet that most of us are unwilling to make, especially when the alternative is a proven and dependable MacBook Pro. Also, depending on the cloud is not something that I wish to do, nor do I want to rely on an Internet connection for my work. As indicated in my article above, Google may be in the process of becoming far worse than Microsoft, which is quite an accomplishment. Not only does Google have no customer support, but they keep dreaming up new ways to make Gmail more complicated and unworkable. Yet, the techies at Google must sit around devising new ways to make our lives more difficult. I am a lawyer, and I started using Gmail before it was available to the public, because I was advertising with Google and was given advance access to it. The original version of Gmail worked just fine; however, the latest version as well as the changes to the “compose and reply experience” are unnecessary, burdensome, and frankly idiotic. Surely Google employees’ time can be better spent doing other things, which are actually productive and help people! Google Is Far Worse Than Microsoft: It Is Godless! On Easter, Google is honoring farm organizer and Leftist hero Cesar Chavez. How sacrilegious and utterly absurd! Among other things—to their credit—most Hispanics are Catholics, and devoutly so. On Easter Sunday, Google is honoring the birthday of the late labor organizer Cesar Chavez by placing a Chavez portrait within the middle “o” of the Google logo that appears on the homepage of the popular search engine. While Google frequently decorates its logo to celebrate various holidays and special events, it is unclear why the company chose specifically to honor Chavez’s birthday, instead of Easter Sunday. Google CEO Eric Schmidt was an informal adviser to both of President Obama’s presidential campaigns, a member of the Obama White House transition team in 2009 and a onetime prospect for an Obama Cabinet post during the president’s second term. As The Daily Caller has reported, Schmidt is also a steadfast climate-change activist, and has advocated for the complete termination of the oil, natural gas, and coal industries, and predicted that Washington, D.C. will soon be completely underwater due to climate change. What do you expect from a company created by someone named “Sergei” Brin that has a 666 as its Google Chrome logo? Thank you, Brad, for your comment. The personal computer is in crisis, and getting little help from Microsoft Corp.’s Windows 8 software once seen as a possible savior. Microsoft, whose software is on a majority of the world’s PCs, last fall introduced Windows 8, a completely overhauled operating system with touch-screen capabilities. But there is little sign that buyers are responding. In a surprisingly harsh assessment, IDC said Windows 8 hasn’t only failed to spur more PC demand but has actually exacerbated the slowdown—confusing consumers with features that don’t excel in a tablet mode and compromise the traditional PC experience. “The reaction to Windows 8 is real,” said Jay Chou, an IDC analyst, about the negative sentiment. Mr. Chou said not only has Windows 8 failed to attract consumers, but businesses are keeping their distance as well. H-P, the world’s largest PC maker, showed the steepest drop in global shipments in the quarter with a 24% decline, according to IDC. Dell, ranked fourth in world-wide shipments, posted a 11% drop as it makes headlines for grim financial troubles and efforts to take the company private. The first quarter’s declines come after a particularly troubling run up to last year’s holiday quarter, during which industry researchers began sounding alarm bells that the PC market would post its first annual contraction in more than a decade. Meanwhile, tablets like Apple’s iPad flew off the shelves. Roughly 350 million personal computers are sold each year, but combined sales of smartphones and tablets are dwarfing those PC figures. People are expected to buy about 919 million smartphones this year, and IDC expects nearly 200 million tablets will be sold this year. In another blow to Microsoft particularly, sales of tablets powered Windows 8 also haven’t been strong. Windows 8 accounted for only 1% of global tablet shipments in 2012, with its share expected to rise to 7.4% by 2017, IDC says. Stephen Baker, an analyst at NPD Group, said the future for Windows-based machines is looking increasingly bleak. “In a PC form factor you won’t see Windows 8 with touch have any impact,” he said. Meanwhile, few businesses are buying many more PCs, and when they are, they aren’t buying them with Windows 8—at least not yet. Some corporate chief information officers say they don’t see a compelling reason to upgrade to Windows 8. Some of us are long-time Apple users—more than 20 years in my case—and we were not surprised at all when Microsoft’s Windows Vista operating system failed so completely. Now Windows 8 seems to be doing something similar, which will drive PC sales down even farther. In libraries (especially law school libraries) where few Apple laptops were seen years ago, Apples are becoming the computer of choice. Microsoft keeps adding “bells and whistles” to its software (e.g., MS Office), which most of us never use, much less understand. 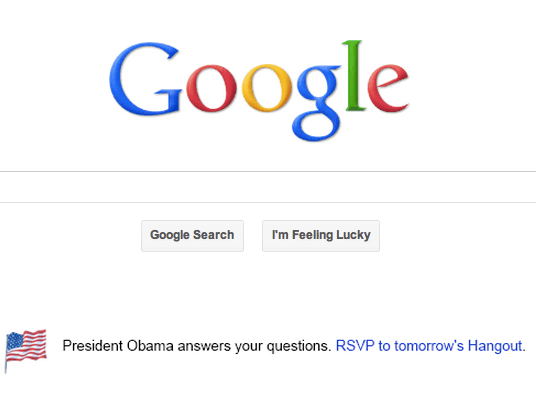 Google has been doing the same thing, with respect to “refinements” of its e-mail system, Gmail. Because Google has no customer support, users are apt to abandon the company’s products, sooner rather than later. Indeed, it is arguable that Google is becoming Microsoft, or far far worse. Companies like Google and Microsoft seem to forget what made them great. To the consumer, Google’s search engine has not changed; however, its techies seem to be bent on destroying everything else. Perhaps both companies are “run” by techies who have too much time on their hands, so they design most software for total geeks like themselves, and forget that there is a “real world” outside. Gmail’s New Compose And Reply Experience: Worse Than Microsoft! Not satisfied with changing Gmail in ways that are NOT user-friendly—certainly for lawyers and others in business—Google has FORCED its Gmail users to adopt a new compose and reply system, which is atrocious! Google has not changed its time-tested search engine, but its GEEKS must have too much time on their hands, so they are screwing up Gmail. Instead, they should be fired! Google’s Chrome Is The Worst Browser And Unusable! Aside from its non-existent customer support and other problems discussed above, Google’s Chrome browser is terrible. Without any warning, and with few tabs open, the browser stops working and a message similar to the one shown above appears. Normally, more tabs are affected adversely; and all of them are frozen—along with the browser itself—and will not work. I was just writing a comment at a Web site and the curser and Chrome browser froze, as a message similar to the one above appeared! One can consult Google’s fact sheets and forums, but nothing makes any difference. Like so many Google products, this is another one that is flawed. Like its other products that have been scrapped, will this browser be the next product that Google ceases to support, rather than fixes? The Latest From Google’s Chrome Browser: Aw Snap! 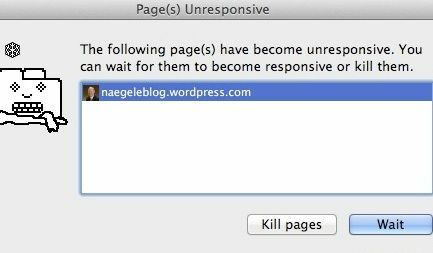 When this happens, the tabs that are open—relating to Web pages that you have been using, including your favorites—become inoperable completely! We are writing to let you know about an important change to Google Notifier Beta. 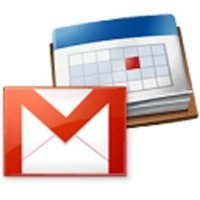 Starting on January 31, 2014, Google Notifier Beta will no longer be supported, meaning the app will no longer show recent emails and calendar events. Since the Google Notifier Beta launched in 2005, a lot has changed. Smart phones can now notify us of new messages wherever we are, and improvements to web technology enable similar features to be built right into the browser. Notifier is an excellent and very useful product, which performs regardless of the browser that we choose. However, Google’s “techies” have decided to scrap it! When will management ever learn that the company is morphing into Microsoft . . . or IBM? Once Google’s customers abandon the company, they are unlikely to come back. Facebook is learning this the hard way. Obviously, all of this raises the larger question about efforts to bring down the Internet itself. Imagine if someday we went online and there was nothing except a blank screen. Worldwide terrorism is growing, not receding; and anything is possible. Clearly, an EMP Attack would bring this country to a screeching halt . . . killing millions of Americans in the process..
Our two major adversaries and/or enemies are trying to step into the breach of American weakness, created by Barack Obama, and control the Internet. Both countries have demonstrated their willingness and ability to manipulate the Internet in their own countries for political and strategic advantages. Imagine the damage they will do to the United States and the West if they control the Internet in any way. We are on the verge of war with Russia’s dictator-for-life Putin; and China is challenging the United States and our allies in the Pacific. Is there any reason to trust either country? At a bare minimum, freedom of speech is at stake. Equally at risk are our national security and Internet commerce. This is an issue that Penny Crosman of the American Banker addresses in a new article, which is worth reading. She is Editor in Chief of Bank Technology News and Technology Editor of the American Banker. She has had senior editorial roles at Bank Systems & Technology, Wall Street & Technology, Intelligent Enterprise and Network Magazine, among other titles. Are cloud services secure enough for corporate use? It’s a question bankers have pondered for at least a decade, and the iCloud breach illustrates both the pro and con arguments. On the one hand, storing any kind of sensitive material anywhere on the Internet makes it a target for hackers. On the other, the password gaming that appears to have been behind the iCloud theft could happen to any server, on or off the cloud. The incident that came to light on Sunday, in which compromising photos of celebrities were pulled from Apple’s backup service and posted all over the Web, has rekindled the long-running debate. In addition to financially motivated cybercriminals, Naegele, a former counsel to the Senate Banking Committee, points to the threat of hackers from other countries. 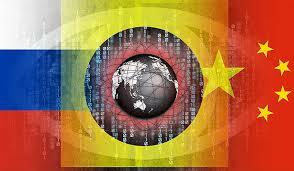 “China has hacked us and a lot of phishing comes straight out of Russia,” he said in a later interview. Russian hacking attempts are believed to be retaliation for U.S. economic sanctions against the country over its military presence in Ukraine. Still, Naegele acknowledged that he blogs on the cloud and that his company’s website is hosted by Yahoo. “You’re never going to get away from the cloud,” he said. Indeed, defenders of the technology argue that the cloud is ubiquitous and almost impossible to avoid on a personal or business level. 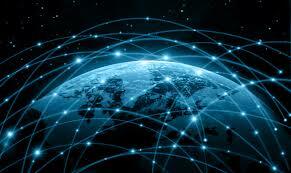 And any computing device that is linked to the Internet is subject to attack. 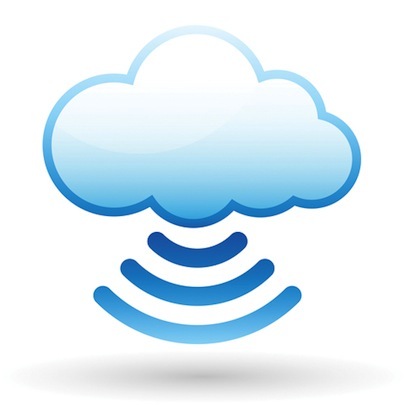 Safer use of the cloud would involve using security mechanisms such as two-factor authentication, encryption, and activity monitoring (to find anomalous behavior that would indicate an impostor). On Wednesday, Skyhigh introduced a set of security controls for Box’s cloud file-sharing service. Gupta argues that cloud services aren’t inherently less safe than a company’s internal servers. “Look at the iCloud breach: the problem isn’t that iCloud is any less safe, the problem is that someone’s account credentials were stolen,” he said. Apple has said its servers were not breached, and many have speculated that iCloud fell victim to a “brute force” attack in which software tries to guess users’ passwords, trying thousands of possibilities until it stumbles on the right one. Many websites automatically block login attempts after three tries, which would thwart such an attack. “The question should be, should we have sites that require passwords? Should people use ecommerce at all? Should we do mobile banking?” Gupta said. “We accept that it’s a fallacy to even think that’s a possibility, to not do mobile banking.” Similarly, companies need the cloud; in this day and age it’s impossible to create a hermetically sealed environment, he argues. James Gordon, the chief information officer at Needham Bank in Massachusetts, takes a middle-of-the-road attitude toward cloud computing. “Anyone that says anything is 100% secure is telling a lie; look no further than the breach of security provider RSA or the issue with the NSA and Snowden,” he said. Financial institutions should conduct risk assessments of cloud services and make sure they adhere to their policies and procedures. “Banks should determine the value of the data, then make sure appropriate controls are in place, both physical and virtual controls,” Gordon said. These would include requiring users to create strong passwords and making sure an account locks out after several invalid login attempts. “I believe the cloud can be safe, but users of the cloud must know their data and how it’s protected and stored both at rest and in transit,” Gordon said. “Password gaming” is the least of the problems. Those who are bent on hurting and/or destroying the United States will try to take down entire clouds (e.g., using “Denial-Of-Service Attacks”). Rajiv Gupta is quoted as asking: “How safe is a motor car?” With all due respect to him, our adversaries (including State adversaries and terrorists) are not bent on destroying the motor car, but there are with respect to America’s business and national security operations. Indeed, our adversaries want to take down whole systems, not merely penetrate them. James Gordon is correct in citing Snowden, who is in Russia presently, where they have granted him asylum; and who knows what secrets he has provided to the Russians. However, I respectfully disagree with Gordon: the cloud cannot be made safe, especially when individual clouds can be taken down on a wholesale basis by America’s adversaries. 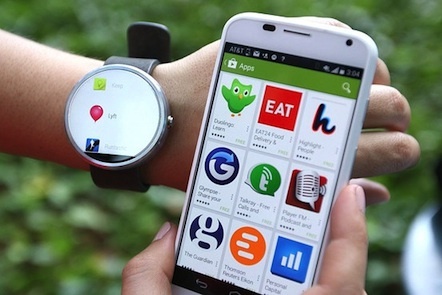 Are Google Smartwatches Here To Stay? Google has many strengths that have served it well. Its search engine is still the best on the market; and to its regular users, it has not changed at all. However, the company goes into some areas “half-heartedly,” and then abandons them; or its techies institute unnecessary changes apparently because they have too much time on their hands. It scrapped its “Notifier,” which was very helpful; and instead, it tags e-mail messages with labels—such as “promotions,” “updates” and the like—which is a total waste of time. Most of the labeling is inane and does not fit the individual messages at all. Google’s Gmail has been complicated with other changes that are unnecessary—which apparently, once again, reflects the fact that its techies have too much time on their hands. How soon will Google abandon its watches? It may be just a matter of time. Flash, the popular software from Adobe Systems Inc., once brought Web to life, endowing pages formerly occupied by static text and photos with video clips and animated cartoons. Last week the program, criticized for years as a security risk and a drag on online progress, became a top contender for the technology dead pool. Facebook Inc. chief security officer Alex Stamos last week offered Adobe some unsolicited advice: Stop trying to fix Flash and kill it outright. Google Inc. and Mozilla Corp. followed suit, temporarily disabling Flash in their Web browsers after it was revealed that hackers were exploiting a bug in the software. The tech giants’ offensive was the latest chapter in Flash’s downfall and an illustration of how mobile devices—Apple Inc.’s iPhone in particular—are rapidly reshaping the business landscape. Adobe continues to distribute Flash and regular security updates for users to download. If consumers remain concerned about it being a drag on their system or a security risk, they can uninstall it from their computers, though they might then not be able to view some video and interactive content. But Danny Brian, vice president of research at Gartner Inc., views Flash’s demise as inevitable. “The writing has been on the wall for at least a year or two,” he said. Introduced in the early 1990s as an easy-to-use digital animation program, Flash went on to be included on virtually every computer shipped. It was the strategic cornerstone of Adobe’s $3.4 billion purchase of Macromedia Inc. in 2005. YouTube founded its streaming video operation on the technology, and Netflix used it as well. Advertising agencies championed it as a way to produce eye-catching online ads. It seemed as though Flash was a permanent fixture of the Web. Then, in 2007, along came the iPhone. Adobe engineers embraced it immediately. “Everyone who was in the organization was carrying an iPhone,” said Carlos Icaza, an Adobe senior engineer at the time. Other former Adobe executives interviewed for this article said Adobe wanted very much to license Flash on the iPhone but couldn’t come to terms with Apple. With the advent of the iPad tablet in April 2010, Apple CEO Steve Jobs made a public issue of the same problems Mr. Icaza had spotted years earlier: Adobe Flash was a battery hog, a security risk, and ultimately a bad choice for Apple’s mobile platforms, he said. Mr. Jobs also had a personal grudge to settle. According to his biographer, Walter Isaacson, he never forgave Adobe for refusing to make its industry-standard Adobe Premiere video-editing software run on Macintosh computers in 1999, when Apple was struggling to survive. Mr. Jobs’s condemnation was enough for companies like Brightcove Inc., a Boston, Mass., video software developer. 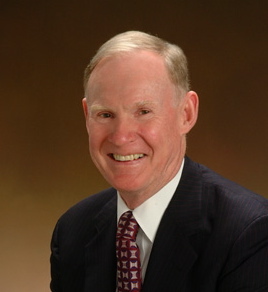 Brightcove, which had built its business on Flash, scrambled to replace it. “Immediately, the entire ecosystem of people involved in video pivoted,” said Jeremy Allaire, Brightcove’s chairman and founder. Like YouTube, his company switched to free software based on open standards that were equally well suited to desktop and mobile devices. Adobe continued to make money on tools for making Flash-based websites, but it was unable to fully capitalize on them. It tried to sell Flash server software, but that product couldn’t compete with a free alternative. Flash still comes bundled with Microsoft’s Internet Explorer and Google’s ChromeOS, but Adobe doesn’t get any revenue from those deals. Adobe itself now considers flash to be immaterial to its business, meaning that it accounts for less than 5% of company revenue, but it is still widely used on websites built for browsers. The software runs on under 6% of the Internet’s home pages and its use is declining, according to BuiltWith Pty Ltd, which tracks Internet technology. Like Brightcove, Adobe has pivoted. It built its Creative Cloud tools for software developers around the technologies that replaced Flash. Creative Cloud can take advantage of Flash, but Adobe has increased its investment in the open Web standard HTML5 over the past four years. Microsoft, whose Silverlight software is a Flash competitor, has embraced HTML5, too. Microsoft says it will stop supporting Silverlight in six years. For all of its initial success, Flash’s slide hasn’t hammered Adobe’s bottom line. The company’s stock has more than doubled since Mr. Jobs pushed Flash into a downhill slide. Adobe has yet to grant Mr. Stamos’s request, but if Flash isn’t yet dead, it is breathing its last gasps—and some in the tech community still think of it fondly. Netflix, for instance, still retains one of what once was a five-person Flash development team. Roman Staroushnik is the last man standing. Asked about the product’s decline, he delivered something of a eulogy. I have been on the Web for more than 20 years, since I bought my first Apple. Adobe Flash is a nuisance; and I have been concerned about security problems recently. No more did I upgrade to the latest version than I was prompted to do so again. This has never happened before. Indeed, I would go months if not years without upgrading. Adobe essentially offers no customer support, even after you buy their products and a short time passes. It is not a customer-friendly company. Like Microsoft that has botched one consumer product after another, Adobe’s monopoly seems to be coming to an end. There was a day when you would go down to your local software merchant and buy the latest edition of whatever operating system you wanted to run. Until you made your next venture to Software Etc., the version in your hand was the version you’d use. Of course, this meant that you could look up one day and find yourself woefully out of date, but it also meant that every other program you might hope to run would have a consistent and predictable platform to work with. Then came the automatic updates. The data involved had to be small given the data infrastructure of the time, but no one could complain about minor patches and security fixes. Now data comes in tidal waves and tech companies see their opportunity to make an end run around the first sale doctrine — selling a service. Instead of buying an operating system, for example, customers can watch their wallet constantly drained by a “service” that keeps updating the system — in ways both minor and major — in perpetuity. And this is how Microsoft is ruining the bar exam. Or, perhaps more precisely, this is how Microsoft is causing ExamSoft to ruin the bar exam. Examinees in California planning to take the July exam were recently informed that ExamSoft just can’t handle Windows 10 and those taking the test need to either take it by hand or get themselves a new computer that doesn’t run Windows 10. Sorry about that brand new laptop your got for graduation! Microsoft recently released “Windows 10 Creators,” a new version of Microsoft’s operating system (OS) which will impact people taking the July California Bar Exam. ExamSoft currently does not support the Windows 10 Creators OS, as it does not meet its minimum system requirements. As a result, applicants intending to use their laptop computers that have the Windows 10 Creators OS loaded may experience problems during administration of the July 2017 California Bar Examination. That’s . . . not good. Because it’s not like users can easily avoid these updates or even realize that while they’re sleeping, their shiny new computer is spending the evening turning itself into a bar exam brick. Some schools predicted the problem and tried to let people know to turn off their updates — probably because ExamSoft has always been unable to keep up with Windows 10, so why would this update be any different? — but many folks remained in the dark until the last couple of weeks when bar examiners started alerting test-takers. And it’s not just California. North Carolina has this issue. Massachusetts isn’t letting Windows 10 Creators machines into the exam. Tennessee is ejecting people using the operating system from the exam. Because ExamSoft provides testing software all over the country and can’t provide working software, this is a nationwide crisis. And the words “ExamSoft” and “nationwide crisis” appear in the same sentence for roughly the 8 millionth time here at Above the Law. But, to come back to the fundamental intellectual property issue, this ultimately all comes back to Microsoft’s move to a continually updating software service to squeeze cash out of their users for the “right” to have their software surreptitiously upgraded with features they’ll never use that will only crash the features that matter. It’s not fair to single out Microsoft for taking advantage of the gap between the intellectual property regime and technology — they’re not the only digital players adopting this model — but it’s times like these that drive home how much mischief a near global monopoly can unintentionally cause. Good luck on the July exam! The real culprit is the despicable State Bar of California. Anyone who believes in or trusts the State Bar is ignorant, or part of the problem. It is lawless and a travesty, and it should have been abolished years ago. It is like belonging to a private club that discriminates, and is run by an inbred clique or cabal. At best, it is a third-rate trade association—and Sacramento and Washington, D.C. are full of them. Microsoft has been ripping off its customers for years. Its forced upgrades are unconscionable, but predictable to the Apple faithful who watch with amusement. Today the Supreme Court said ‘yes—you can be taxed by politicians you do not elect and who act knowing you are powerless to object.’ This power can now be used to export sales taxes, personal and corporate income taxes, and opens the door for the European Union to export its tax burden onto American businesses—as they have been demanding. If physical nexus is no longer required, as the Quill vs. ND case demanded, for sales taxes then it is no longer required for personal or corporate income taxes. Now, California (or any state or city that loses population through exit) can tax people and businesses who do their best to avoid that state or city. Norquist is correct. Lots of us began using the Internet more than 25 years ago, when it was referred to as a “dirt road,” not the super-information highway that it has become. It has grown dramatically since then, because it was free, and free of the reaches of taxing authorities around the world. With this decision of the U.S. Supreme Court, the EU and every taxing authority globally may deem it to be “open season” on taxes, and the result may be chaos beyond belief. The users of Google’s Gmail are being forced to adopt its second new version, whether they want to do so or not. This smacks of what Gmail users went through when my article above was written. Days after the Trump administration instituted a controversial travel ban in January 2017, Google employees discussed ways they might be able to tweak the company’s search-related functions to show users how to contribute to pro-immigration organizations and contact lawmakers and government agencies, according to internal company emails. The email chain, while sprinkled with cautionary notes about engaging in political activity, suggests employees considered ways to harness the company’s vast influence on the internet in response to the travel ban. Google said none of the ideas discussed were implemented. Next week Attorney General Jeff Sessions is scheduled to meet with some state attorneys general to discuss concerns of anticonservative bias. Conservatives recently expressed anger after Breitbart News released a video of a 2016 company meeting in which Google senior managers lamented Mr. Trump’s election victory. Google said the comments from executives in the video expressed the personal beliefs of those executives, not the company’s. Mr. Trump’s original travel ban, implemented to restrict immigration from countries deemed a security risk, temporarily barred visitors and immigrants from seven majority-Muslim countries, and placed new limits on the U.S. refugee program. It sparked huge protests and chaos at many U.S. airports. It was challenged in court and, after several revisions, was upheld by the U.S. Supreme Court. Google joined nearly 100 technology companies, including Apple Inc. and Facebook Inc., in filing a joint amicus brief in February 2017 challenging President Trump’s travel ban. “The order inflicts significant harm on American business, innovation, and growth,” the companies said in the brief. Google co-founder Sergey Brin, who immigrated from the Soviet Union as a child, appeared at a rally protesting the travel ban outside San Francisco’s airport. The email conversation on the issue included several cautionary comments. “This is a highly political issue, so we need to remain fair and balanced and present facts,” one executive wrote, in response to proposals to tweak search-related functions. The Google emails were written on Sunday, Jan. 29, two days after Mr. Trump signed the first version of his travel order, which generally restricted immigration to the U.S. from several majority-Muslim countries. The email included a compilation of specific ideas that individual company officials had already floated. Some apparently involved finding ways to “actively counter” Google searches that produced anti-Islamic and anti-Hispanic search results. Others centered on Highlights, the code name for an experimental project Google has tested that allows influential people, like politicians and musicians, to post text updates that appear directly in search results. Sadly, Google—in which lots of us have believed—has been “outed” as being biased for many years. Its biases must be flushed out and eliminated permanently and/or it must be broken up pursuant to U.S. or EU antitrust laws. Reportedly, Bill O’Reilly paid $32 million to FOX’s Lis Wiehl to settle her sexual claims against him. He has never denied the settlement or the amount. No one pays a staggering sum of money to someone else in settlement of claims, much less $32 MILLION, unless they are guilty as sin. First, like Harvey Weinstein, Roman Polanski, Bill Cosby and other sexual predators, O’Reilly and his new book should be boycotted. Indeed, I wrote a review at Amazon that essentially said that, which was posted on Amazon’s Web site. [Amazon review of O’Reilly book] Then, it was taken down, for no apparent reason. Second, O’Reilly is irrelevant today, and spurned like the other sexual predators, which is probably why he is taking out ads on FOX, hawking his book. Third, by implementing censorship, Amazon has become complicit in the O’Reilly-Wiehl cover-up. This is akin to Google and Facebook censorship, which is despicable. Amazon must be boycotted for censorship. Nothing less will suffice. Every bit as ugly as “a righteous leftist mob”—and America is full of them (e.g., Antifa, “Black Lives Matter”)—is censorship by the Wall Street Journal, which should be run out of business and boycotted. Today, the Journal engages in despicable Leftist censorship as much as Facebook, Google and Amazon. To refer to Leftists, or so-called “progressives,” as retards is to see one’s comments banished from the Journal. It is not worth reading anymore. Like its sister publication, The Times of London that many of us stopped reading years ago—and the UK’s Economist and Financial Times, Time and Newsweek magazines—they are relics of a bygone era. What the Journal‘s editorial neglected to mention are the anti-Catholic sentiments in America and other areas of the world, and how they underpin and underscore what has happened to the young boys of Covington Catholic High School. This flagrant omission is unconscionable and seeming intentional. Lots of us have criticized the Catholic Church’s leadership in countless ways, but it is the only Christian religion that stands its ground in important ways, such as its consistent pro-life positions. Other Christian religions and sects amount to watered-down Christianity at best. And yes, the families of lots of us have been Catholics for literally hundreds of years; and we are coming back to the Church to reform it, not to betray or destroy it. [A]ll of us or our ancestors came here from somewhere else. Even the American Indians are descended from those who crossed the Bering Strait—or the “Bering land bridge”—according to anthropologists. Also, the Journal‘s half-hearted defense of the Catholic boys is consistent with its Leftist leanings for years now. With so much genuine news available on the Web for free, why would anyone pay a cent for the Journal now or in the future? Which office do I go to to get my reputation back? The Royal Family’s social media accounts will block trolls who send offensive messages in a crackdown on abusive comments against Meghan Markle and Kate Middleton. The new guidelines from Buckingham Palace, Clarence House and Kensington Palace will see ‘obscene, offensive or threatening’ comments removed in order to create a ‘safe environment’ for genuine fans. Royal aides warned that abusive comments – such as those targeting Kate Middleton and Meghan Markle – could be reported to the police. The Twitter guidelines were laid out on the royal family’s official website and then shared across their social media channels – prompting some immediate trolling. In January, Kensington Palace revealed that its moderating teams spends ‘hours’ eliminating ‘vile’ comments, which often target the Duchess of Cambridge, 37, and the pregnant Duchess of Sussex, also 37. ‘The aim of our social media channels is to create an environment where our community can engage safely in debate and is free to make comments, questions and suggestions,’ it said. ‘We reserve the right to determine, at our discretion, whether contributions to our social media channels breach our guidelines,’ it said. ‘We reserve the right to hide or delete comments made on our channels, as well as block users who do not follow these guidelines. One commenter called Meghan a ‘cheap Duchess’ while another said she was an ’embarrassment to the royal family’. Other users suggested the Palace was censoring freedom of speech with one calling it a ’15th-century’ move. The Duchess of Sussex, 37, who is expecting her first child with Prince Harry, 34, in the spring, was said to be receiving advice from the tennis star’s PR team. The insider said: ‘Meghan is still acclimatising to the royal way of dealing with things – she is very much used to the ruthless Hollywood PR machine. ‘Her publicist Kelly put a small team together to create a pitch, and have been in touch with the Palace under an official capacity with a few ideas. This is not about the lovely Kate Middleton: the Duchess of Cambridge and future Queen of England; and the mother of a future King, Prince George. 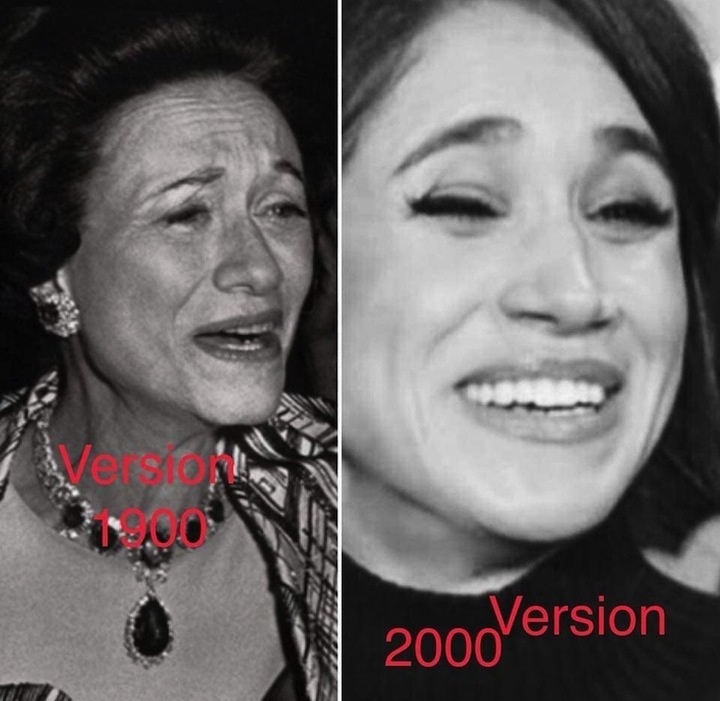 The “safe environment” that they are seeking to create is for #MEGXIT, or Meghan Markle, the unknown American “B” TV actress and divorcee whom Kate’s husband and the future King William’s brother Harry married, after dumb and dumber Harry lived a life of addictions and debauchery. Also, it seems that the Daily Mail is implementing such “guidelines” already at its Web site, and censoring or eliminating comments that do not adhere. The Daily Mail must be boycotted until such censorship stops. Harry and his paramour may bring about the downfall of the UK’s Royal Family, certainly after the present Queen Elizabeth is gone. Like Wallis Simpson before her, Markle may produce unintended consequences for the Royal Family, which may be dramatic. I have been on the Web since late 1992—more than 25 years ago—when I purchased my first Apple laptop, and when the Web was referred to as a “dirt road,” and not the information superhighway that it is today. Web sites can be started for peanuts, quite literally. If the news is truly newsworthy, put it on the Web where it can be updated and disseminated instantly. There is no magic to any of this. It is common sense. The UK’s Daily Mail commenced wholesale censorship and discrimination recently when the decadent British monarchy instituted strict censorship guidelines to protect Prince Harry’s American TV actress/wife from blistering criticism and comparisons to Wallis Simpson. Obviously intimidated, the Daily Mail and its sister entity, MailOnline, followed suit immediately. The Daily Mail routinely trashes our President Trump, and the McCann family who have suffered since the disappearance of their young daughter Madeleine. The measures adopted in the UK, and enforced by Greig’s Daily Mail and MailOnline, are not dissimilar to the draconian rules being put into effect by Russia’s killer Putin. Also, what about censorship by Amazon, Google, Facebook and other American entities? Google has done this before. Google’s ill-fated social network has officially met its demise. Starting today, the search giant is beginning the process of deleting all user content uploaded to Google+, making good on its promise last December to shut down the site. While Google+ had amassed millions of users, very few of them were actually posting on the site, causing it to gradually fade into obscurity over the ensuing years since its launch. As of today, if users visit the Google+ website, they’ll see a slightly depressing notice: ‘Google+ is no longer available for consumer (personal) and brand accounts. ‘From all of us on the Google+ team, thank you for making Google+ such a special place,’ it continues. The future of Google+ appeared grim when the firm announced last October that a bug had exposed the data of 500,000 users. Google also knew about the breach long before it disclosed it publicly. The final nail in the coffin came months later, when Google revealed that a separate breach exposed the personal data of 52.5 million users. As a result, Google said it would shut down Google+ much earlier than expected. Enterprise Google+ accounts will continue to live on despite the firm sunsetting the site’s consumer version, however. On top of the recent breaches, the firm cited ‘very low usage of the consumer version of Google+,’ as another catalyst for the decision. Personal Google+ pages have been shut down as of today, while Google begins the process of deleting content from Google+ accounts. This includes any photos or videos uploaded to the Google+ archives, as well as any other Google+ content like comments. The firm posted a notice in January instructing users to back up their Google+ data before it began deleting accounts. Google had stopped the creation of new Google+ profiles on February 4th. Prior to the site’s demise, Google had repeatedly tried to draw users to Google+. Google attempted to boost engagement by linking YouTube and Google Play reviews with users Google+ accounts, but many became annoyed by this feature. Over the years, Google+’s waning popularity caused the firm to pull back from its integration with the service. Google used to require users to login with their Google+ account for services like YouTube and others, but by 2015, that was no longer required. Google followed suit, letting outside developers access some Google+ data with users’ permission. Again, the question must be asked, and answered: Can Google be trusted? 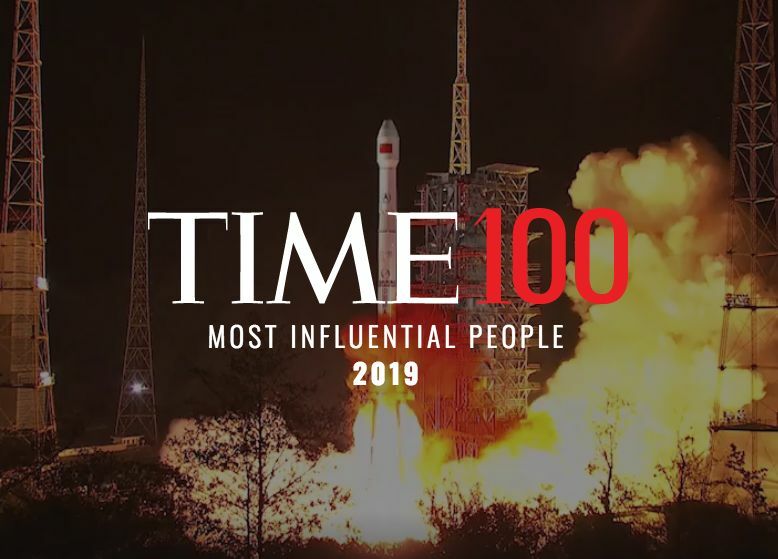 The failing Time magazine released its issue cataloging the “Most Influential People” for 2019. First, Time is irrelevant today. It has been for many years. Few Americans buy or read it. Sometime in the not-too-distant future, it may cease to exist altogether. Second, most Americans have never heard of “all but a few” of the people named by Time, nor do they recognize the photographs. Third, largely missing from the listing are White Americans (including White Hispanics), who constituted 72% of the total U.S. population in the 2010 United States Census. Fourth, the selected writers are absurd; for example, Chris Christie who trashes President Trump regularly, and Sally Yates who should be in prison along with Robert Mueller.